To promote the conservation of Australian birds and their habitats. 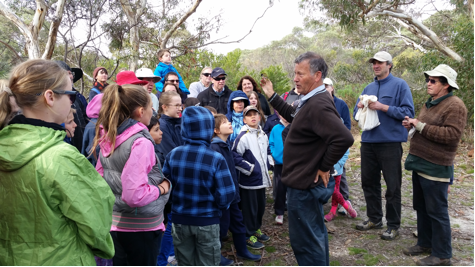 To encourage interest in, and develop knowledge of the birds of South Australia. To record the results of research in regard to all aspects of bird life. To maintain a public fund called the “Birds SA Conservation Fund” for the specific purpose of supporting the Association’s environmental objectives. Membership is open to both serious and casual bird watchers, and any age is welcomed. Donations to the Conservation Fund are tax deductible. Monthly meetings are held on the last Friday of every month, except December, in the Charles Hawker Conference Centre, The University of Adelaide, Waite Road, Urrbrae starting at 7.45 pm. Field trips are held monthly on Thursday, Saturday and Sunday and visitors are welcomed to come along. The Association has an extensive library containing books, journals, videos and tape recordings which are available for borrowing by members.